The number one food priority for Australians in 2016 will be eating more fresh fruit and vegetables says global research firm, Ipsos. Revealing the results of its latest Foods Consumption, Habits, Attitudes and Trends report, Ipsos determined Australia’s most important food concerns and perhaps unsurprisingly, health is at the heart of them all. Despite the focus on health, Ipsos found that once in store, 72 per cent of shoppers place taste as the number one driving factor behind purchases. Price follows behind with 63 per cent of shoppers prioritising costs. “Our study shows that while making healthier food choices is a key priority for Australians, the typical, everyday shopper is still struggling to balance healthiness against convenience and their budget,” Ipsos Strategy and Research Director, Kathy Benson said. 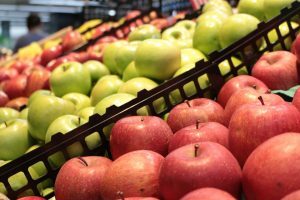 “Making a quick decision in-store, purchasing products which are familiar and easy to use at home, as well as meeting budget restrictions, are still very important factors when it comes to making food purchases,” Burton said. One in two adult Australians agreed with the statement “there is too much sugar in packaged goods” but only one in four have tried to reduce their consumption of sugar. Australians also said they would like to consume more “natural sugar substitutes” (65 per cent). (Coincidentally and separately from the study, Australian Food News recently reported that consumer advocacy group, CHOICE, claimed a number of Australian-sold baby snacks are promoting health claims whilst at the same time containing up to 60 per cent sugar). Snacking continues to be a big part of the Australian diet with two-thirds of survey respondents saying they eat between meals and that health snacks are a priority. Despite heavy promotion by celebrity chefs and nutritionists, the majority of Australians are not jumping on board with “fad diets”. Nearly half of Australians (47 per cent) said they were aware of the Paleo diet (which restricts legumes and dairy foods) but less than 10 per cent had tried following it.